I've wanted to do moodboards for some time now, but I lacked the motivation to start. However, I recently found a way that works for me! Products catch my eye for certain reasons. Sometimes it's the product itself like a dress or a ring, sometimes it's the unique style it might have, like the cut or materials used, and sometimes it's simply colour and pattern. In this case, it was colour, pattern, and product. Wellies are amazing, frankly. Shoes that are designed to get dirty. 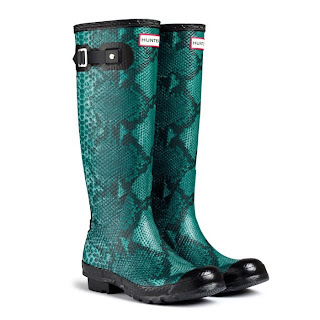 They were my favourites when I was a little girl because if I had to put wellies on it could only mean one thing: muddy puddles. And that was (is) a lot of fun. I don't do festivals - too many people, too much noise, not enough loos - but if I did, I think the wellies would be my favourite part. 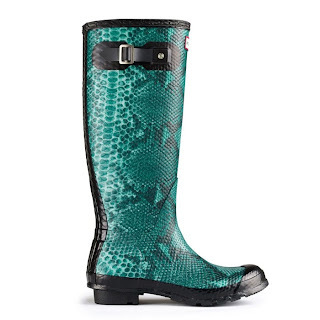 So when I saw these gorgeous teal snake print wellies I got very excited. I actually have a pair of open toe heels - eventhough I hate heels - that I bought purely for the fact that they were turquoise snake print. I had my eye on them for about a year before I finally wasted my money on them. I love those useless little things. Oh, this is wonderful surprise! 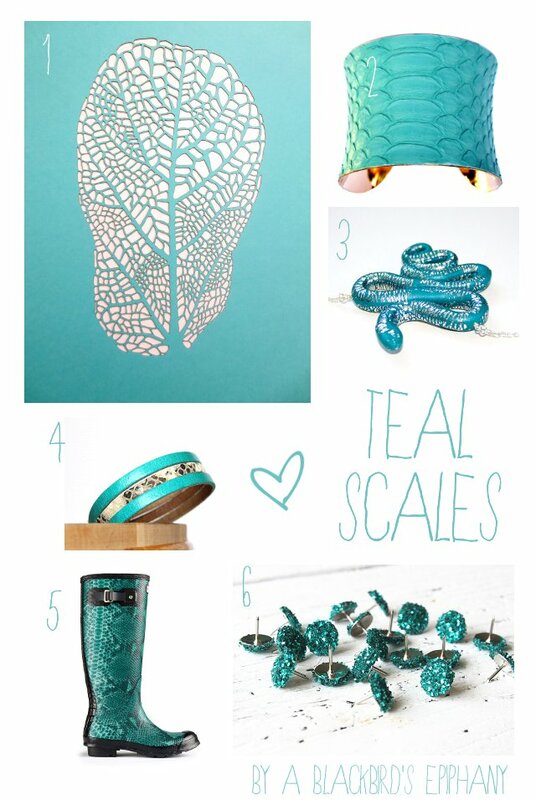 Thank you for sharing and for including my snake necklace! Yay, loving the teal so much.